This Hydro Clean two story window washing kit, by IPC Eagle, is an ultra pure DI (deionized water) kit, that is designed for cleaning windows and non-porous surfaces. Deionized water is created by using our resin purifying bags to remove all the impurities from your tap water. Simply add the resing bag to the water bottle fill with watee, and shake to remove remove all minerals from your water. You are then truly cleaning with deionized water, so when your windows dry, they really do dry streak free. You'll become a much more efficient and profitable window cleaner with this Hydro Clean kit! With the Hydro Clean, you are ready to clean within minutes and do not have to worry about cords, batteries or water spots. The solution lever is at your finger tips making you more productive by up to 50% over traditional window cleaning methods! 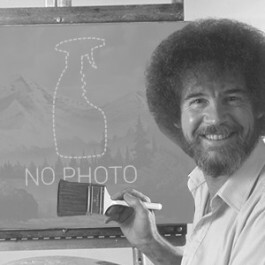 You can use this kit for spot-free results on indoor windows, walls, washable tables, counters and stairs. This is the most economical kit of all of our window washing systems. These kit systems will provide incredible cleaning action, with spot free windows. The Hydro Bottle Kit that is included allows you to bring your pure water with you while you are busy cleaning. This will save you time by not having to run back and forth refilling your machine. The Hydro Clean kit eliminates the need for ladders, powered lifts, or outsourcing your window cleaning needs. Eliminate all risk and hazards associated with window cleaning by cleaning from the ground. Includes the Hydro Bottle Kit for pure water on the fly and 3 microfiber cleaning pads. Easy to read battery operated water hardness TDS meter monitors the water cleaning quality. Perfect for residential and commercial window cleaning. 25' fiberglass pole is very lightweight, making overhead cleaning stress-free. Customers who were interested in the IPC Eagle 'Hydo Clean' Two Story Window Washing Kit were also interested in the following items. 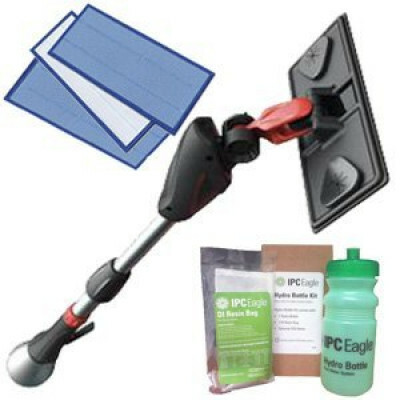 This is a review for the IPC Eagle 'Hydo Clean' Two Story Window Washing Kit.